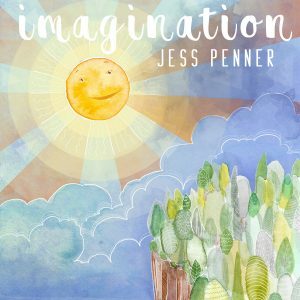 Indie-Pop Artist Jess Penner Releases First Children’s EP, ‘Imagination’ Available from Position Music on August 11, 2017: Giveaway Opportunity! Indie-Pop Artist Jess Penner Releases First Children’s EP, ‘Imagination’ Available from Position Music on August 11, 2017 Giveaway Opportunity! Jess Penner, a BMI songwriting contest winner known for her “bubbly indie electro-pop sound” (Popdose), “simple yet impressive melodies” (Honolulu Star Bulletin), and “a rawness and intimacy that is consistently missing from modern top 40 pop” (Baeble), ventures into the world of family music with Imagination, an EP of eight songs due out August 11 through Position Music/Recurrent Records. Working with Position Music since 2008, this Los Angeles based recording artist has earned hundreds of song placements around the world in advertisements and movie trailers, film and television shows. With Imagination, Penner breathes new life into classic children’s songs like “Mr. Sun,” “I’ve Got No Strings,” “You Are My Sunshine,” “I Don’t Want To Live on the Moon,” and “Somewhere over the Rainbow.” The album also debuts two Jess Penner original songs: “Forever in My Heart” and the title track. Penner grew up on a banana farm on Kauai. She met her husband Kevin as teenagers performing in a nationally touring Christian rock band. Over the past decade, they have forged a musical powerhouse, crafting sticky songs and recording other artists’ projects in a converted garage studio behind their Los Angeles home. Over the years, other projects have included the bands Chandelle, Kayjez and We Cry Diamonds. Penner’s three solo albums have gained critical acclaim and millions of streams on Spotify, including the song “Life Is Rosy,” written with former One Republic band member Tim Myers. 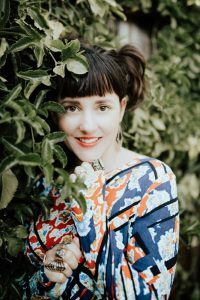 While her musical influences today might be compared to Ingrid Michaelson, Sarah Bareilles and other current female indie pop artists, Penner’s sound developed over many years and is unusual in the children’s music arena. Inspiration for the songs “Imagination” and “Forever in My Heart” came from parenting her own two children. “I don’t really think of writing and recording songs for kids as being all that different from my usual work, except that I want to make sure that the messages I’m sending are wholesome and hopeful,” Penner explains. It isn’t easy to make a living as a non-touring independent female songwriter, but Penner proves it can be done through hard work and experimentation. With her Songcents blog, Penner shares her knowledge of the industry with aspiring indie artists. Her YouTube channel features a homespun “Slice & Song” reality TV style series, where she demonstrates a favorite pie recipe and performs a song in her home studio. The release of Imagination simply continues Jess Penner’s journey as an artist, role model and parent. “I want kids to dream, savor life, and know that they have the power to do anything they put their minds to. The world can be a tough place; why don’t we make sure that the messages kids receive on repeat lift them up and empower them?” says Penner. Visit JessPenner.com for more news about the August 11 release. The EP is available for pre-orders now. 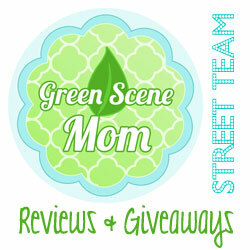 We have also teamed up for a Giveaway! To enter, simply leave a comment below. The deadline to enter is July 28th, 2017! One winner will be selected. U.S. Residents only, please. Self Disclosure: No compensation was received to post. 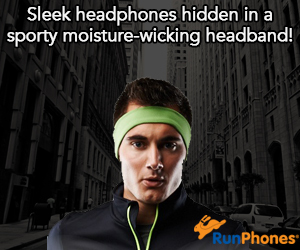 Images and all information were provided to facilitate this post. I love the overall theme of this album. It is so important for today’s youth to dream and know that anything is possible. Thanks for the chance to win!